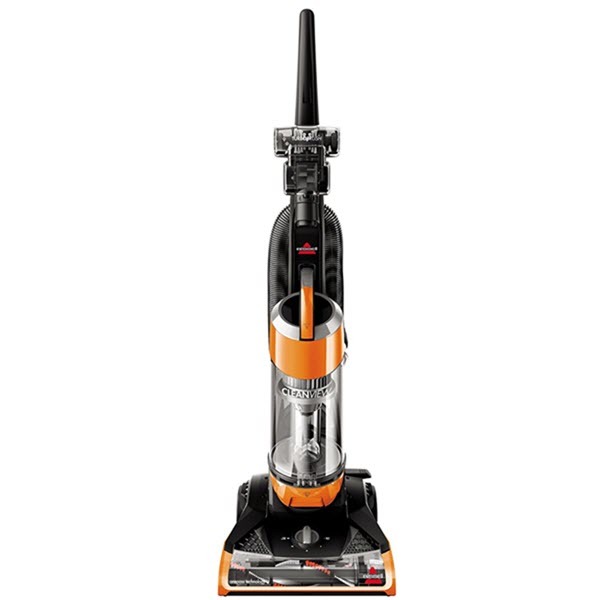 I’ve come to trust vacuum cleaners from Bissell over the years, so the Bissell Cleanview 1831 was a no-brainer for me. You normally wouldn’t expect a huge amount of power or performance for this kind of money, but Bissell hasn’t once let me down to date. And it was exactly the same with the Bissell Cleanview 1831 Dustbuster – a surprisingly powerful and versatile upright that’s as good as any I’ve ever owned. If you can look beyond the prestige of certain top-shelf brands (you know who I’m talking about), I can’t see anyone being disappointed with the Bissell Cleanview 1831. It does the business on all types of floors, it doesn’t lose a scrap of power even during prolonged use, and it’s nowhere near as heavy as it looks. It’s also designed to minimize the number of times you have to go over the same spot to pick up even the deepest dirt. 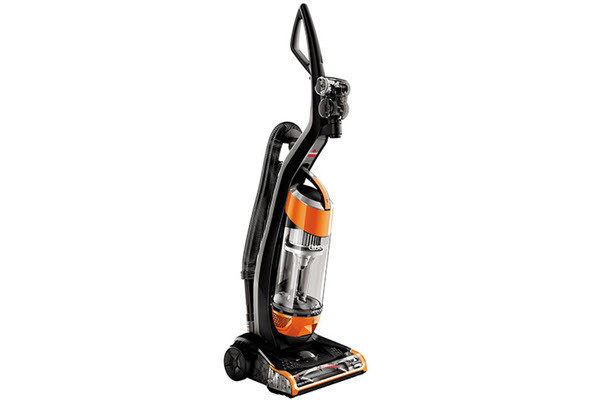 So my first thoughts on the Bissell Cleanview 1831 vacuum cleaner were the same as my last few machines from Bissell. Very impressive and yet another bargain. So it’s not the lightest vacuum in its class, but it’s also far from the heaviest. But either way, it’s easy to wheel about the place and hasn’t caused me any problems to date. We’ve got laminate flooring, tiles and some pretty deep carpets around our house, so I can vouch for the Bissell Cleanview 1831 on various different surfaces. This is the feature that’s designed to make it quick and easy to pick up even the deepest dirt on a single pass. So even if you have pets around the place (which we do), you don’t have to keep going over the same bit of carpet, over and over again. The Bissell Cleanview 1831 bagless dustbuster really isn’t messing about when it comes to power and is a huge step up from their previous vacuums. It’s slightly on the loud side, but it’s a small price to pay for the way this thing obliterates dust and dirt. This is always a bonus for me as it simplifies the process of keeping the air fresh and clean around the home. It’s easy to remove, easy to clean and easy to replace, which is great. It’s not the biggest bin of any vacuum I’ve come across, but it’s a big enough to get the job done and is also easy to empty. You can also wash and dry it easily enough to keep things even more hygienic. You can set the Bissell Cleanview 1831 to a total of five different hight levels, so it’s ideal for various different surfaces. The cord is also extremely long (around 30 feet), so you’re not struggling to reach every corner of the home. The Bissell Cleanview dustbuster comes complete with a set of tools to get into the more difficult crevices and corners, which include a TurboBrush Tool, Dusting Brush, Crevice Tool and Extension Wand. I’ve found the TurboBrush Tool particularly useful. The whole idea of a washable filter is to ensure that you’re able to keep it clean and maximise its capacity to keep dust and allergens out of the air. Nobody in our household suffers from allergies, but we do have pets about the place who make their mark on our carpets and furniture. The 1831 Bissell Cleanview is great for picking up pet hair and general spills, so I’d say it’s a decent choice for pet owners in general. 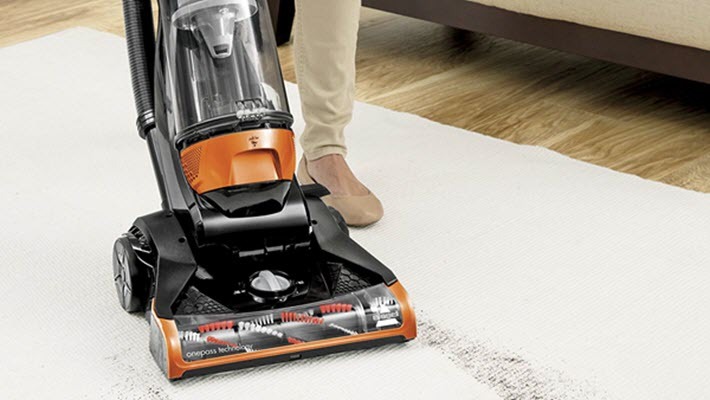 As far as value for money goes, the Bissell Cleanview 1831 vacuum cleaner really is a bargain. I can’t say I’ve personally pitted it against the most expensive vacuums on the market, but I fail to see how anything could do a better job for this kind of price. It’s easy to use, powerful as it gets and comes with an assortment of accessories to tackle most jobs around the home. My only slight issue with the Bissell Cleanview bagless dustbuster is the fact that the motorised brush (which is fantastic) continues operating even when you’re using the hose and the attached tools. So you need to be careful where you position it, as it could end up overheating or leaving a mark on your carpet. But this is really the only downside I can think of – I’d still genuinely recommend the Bissell Clearview 1831 to anyone on the lookout for a bargain.